The National Jobs Bank will evolve into an "online marketplace" for jobs, which will go beyond just displaying vacancies but act like a round-the-clock job fair. 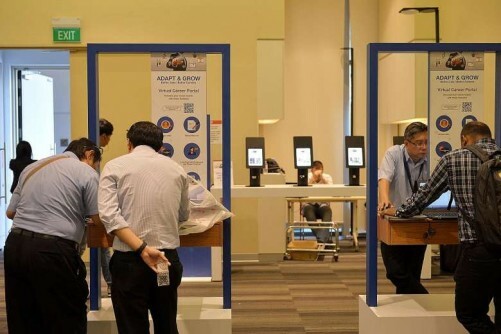 Manpower Minister Lim Swee Say told Parliament yesterday that this new marketplace will point not just job seekers, but also vulnerable workers in industries under threat, in the direction of which careers to pursue. He was replying to questions from 11 MPs worried about rising resident unemployment and retrenchments, in the wake of a sobering Ministry of Manpower (MOM) report released last month. "We will transform the National Jobs Bank into a one-stop and non-stop online marketplace," Mr Lim said. "Job seekers will be able to explore new career opportunities and conduct job searches any time, anywhere without having to wait for the next job fair." The first iteration of this new marketplace took place last month, with a two-week virtual career fair that offered 500 vacancies from 51 employers in information and communications technology (ICT), biomedical sciences, professional services and aerospace. Mr Lim did not say when the new marketplace will be launched, but said it will target job seekers across age groups, be they fresh graduates searching for their first jobs, mid-career workers seeking a switch, or mature workers looking to stay active. The marketplace will help workers streamline their careers through the Skills Framework, which maps career ladders in various industries and pinpoints the skills and training workers need to get the jobs they want. Skills frameworks have already been launched for the hotel and early childhood care sectors last month, with more to come for other sectors. Mr Lim also said MOM and its agencies have stepped up job- matching and career services. In the first eight months of this year, Workforce Singapore and the Employment and Employability Institute helped 20,000 job seekers, with over 13,000 finding work in sectors like ICT and healthcare. The number of successful job placements was 20 per cent higher than in the same period last year. Rank-and-file workers made up 55 per cent of these, while 45 per cent were professionals, managers, executives and technicians (PMETs). To help PMETs, who make up seven in 10 of residents laid off last year, MOM is also increasing the number of Professional Conversion Programmes (PCPs), which help mid-career workers move to industries with the potential to grow. There were 22 PCPs at the beginning of this year, and Mr Lim said there will be more than 50 by year end. Mr Patrick Tay (West Coast GRC) asked how the ministry can help older PMET job seekers. Mr Lim replied that MOM is working with more companies at their job fairs to take on mature workers. This could be either under a PCP or through the Career Support Programme, which gives wage subsidies to employers hiring PMETs who are aged 40 and above or have been unemployed for six months or more. Mr Ang Hin Kee (Ang Mo Kio GRC) and Dr Tan Wu Meng (Jurong GRC) asked how the ministry can make the online marketplace more attractive to employers, especially those who are not proactive now or use competing job portals in the private sector. Mr Lim said advertising in the marketplace will be compulsory for employers, before they open the vacancies to foreigners on Employment Passes. He hoped, however, it could also attract employers who mean to hire only locals. "If we can make this marketplace a vibrant and comprehensive one, I think more and more employers will want to come on board because it will be easier for them to look for the right worker," he added.